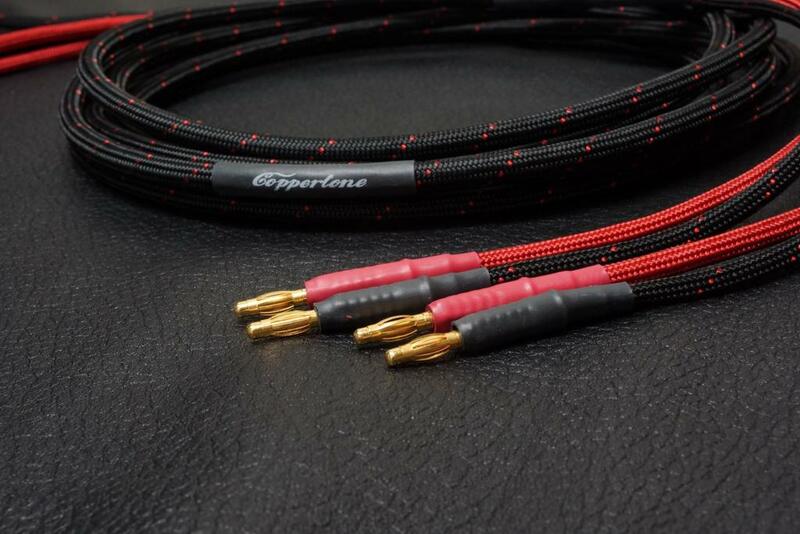 The Coppertone Loudspeaker cable uses tin-plated copper conductors that are loved by so many for their classic sound and arranges them in a coaxial dual-tube arrangement based on a dual-layer helical wind with braided nylon-multifilament fibers between the layers. Although this is a very compact design, don’t be fooled by the size! Each pole sums to ca: 15 AWG! The close arrangement of the two conductor layers allows for low-inductance, while the thinness of the conductors themselves and their coaxial-tubular arrangement evince low skin-effect AND low proximity-effect!